I’ve been meaning to put this together for a while..
I’ve spent a lot of time over the past year or so thinking about how Gypsy and Roma people are represented and misrepresented through photography. I wrote a research paper which touched on this for my MA and my two following projects – Rethink and Elvira and Me – both attempted to challenge the prevailing visual stereotypes of these two connected but separate communities. So it feels somewhat ironic that I have spent the past two days chasing websites which have stolen and then misused my work. Or perhaps it was only a matter of time. Yesterday I received a phone call from a pretty upset Ramona, who had found a photograph of herself on the internet while searching for stories in the Romanian media about Roma migrants in the UK. She was shocked to be confronted with a photo of herself selling the Big Issue within an article which had absolutely nothing to do with her – it was a story about a group of named Roma squatters who had moved into a woman’s home in London – and wanted to know if I had given it to the website. I knew the story she was talking about as I’d seen it in the Daily Mail, which used a portrait of the victim, but I was furious see the Romanian site had lifted a photo I had taken for a Guardian Society story and run it with their piece. Ramona, understandably, wanted the photo removed as soon as possible – she hated the idea she was being associated with criminal activity in this way. I mentioned what had happened on Twitter while I was pondering how to proceed, and a contact with far more computer know-how than me replied to say he had found the very same image being misused elsewhere. This time it was on a British blog about deaf people, illustrating a court story which had been itself been lifted from the Manchester Evening News. 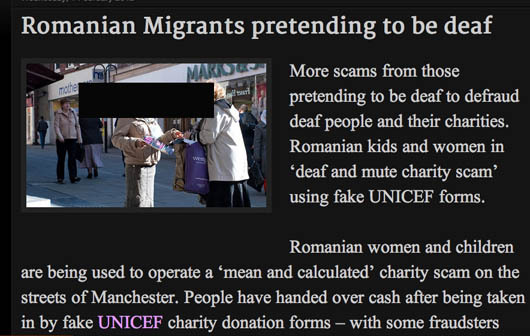 This case was even more unbelievable to me – a clearly identifiable photograph of Ramona was being used to illustrate a story about a different named Roma woman from Manchester who was prosecuted for begging using faked documents which claimed she was deaf and dumb. This morning I searched for another similar photograph which I have only licensed to Equality, a charity which advocates for Roma migrants in the UK. I wasn’t exactly surprised to see this one had been commandeered by a different Romanian news site, again as an illustration photograph in a highly negative story about Roma migrants in Britain. This time my friend was being associated with benefits tourism and the idea which is gaining traction in some sections of the UK media that Romanian Big Issue vendors are all here to scam the benefits system. Thankfully in all three of these cases the people behind the websites took down the offending photographs promptly after I sent a complaint by email, two of them before Ramona even knew about them or had seen them. For me this has been a real lesson. Of course it’s annoying when people lift your photos and use them without permission, ignoring your byline and infringing your copyright. But far more serious to me is what I see as the abuse of the very essence of my work and of Ramona’s image – I described it in my complaint emails as defamation through the use of photography, and I truly believe it is. I am going to have to be very attentive from now on about how my Roma work in particular is being used and abused. I totally understand that many people who run blogs and websites are untrained in media ethics and perhaps a little naive when it comes to the politics of visual representation. But if they are going to publish online they have a responsibility to think these matters through before stealing and then posting images completely out of context. Crucially for me though, this has underlined the very important issue about stereotyping minority communities such as the Roma through photography. 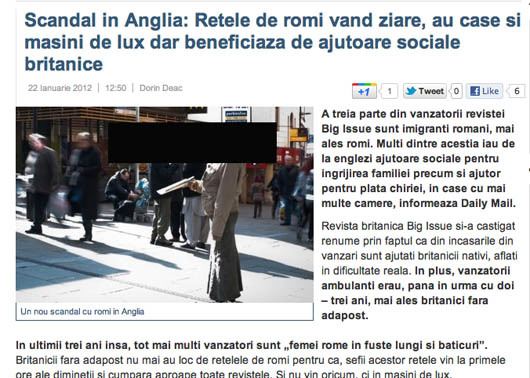 I am CONVINCED that had the criminals and/or alleged benefits tourists in these three news stories been ethnic Romanian (for example) as opposed to ethnic Roma, very few people would think to use photographs in such an ill-judged way. Nowhere I have worked would we ever have used an identifiable photograph of some random person to illustrate a story about criminality committed by someone else simply because they happen to share an ethnicity….it would be big trouble if we did. So why is it ok to do so just because someone is Roma? Is it ignorance? Casual racism, perhaps? – the idea that all Roma people are interchangeable and/or a bit suspect? The misconception that Roma Big Issue vendors couldn’t possibly chance upon their own photograph online in the way Ramona did, and so therefore these things don’t matter? I’m not sure but it maddens me and it made Ramona furious too. I’m very fortunate that she is open minded and has colleagues who can help me explain the nature of the internet and how images can get copied and pasted in this way. Happenings like this have the potential to undermine months of hard work on a project like mine. I really hope the people on these websites have learned something through this. Everyone makes mistakes but photographs are powerful. I will not allow my work to be abused in this way. 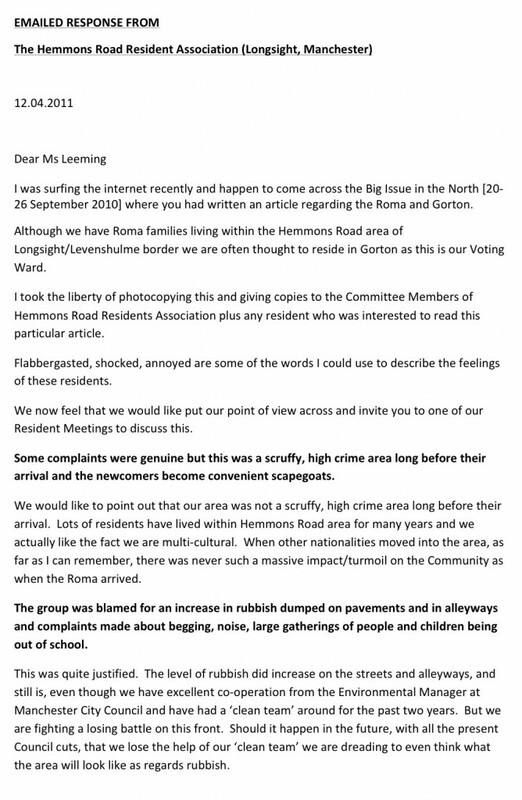 A couple of weeks ago I received an email from the Hemmons Road Residents Association in Longsight, the area of Manchester where a large number of Romanian Roma have settled over the past few years. 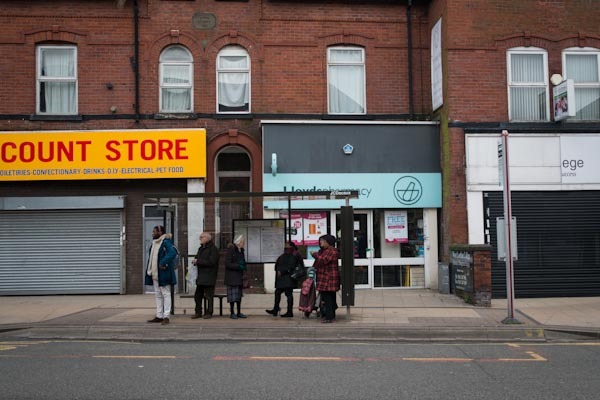 They feel their situation has not been well reflected in the work I’ve been doing on the issue, so I offered to post their letter on my website, and to carry it alongside the original story (I have also added it into the PDFs – here and here – of my original Big Issue in the North stories). I have a lot of sympathy for the community in this area – it’s a very difficult situation and the vast majority of locals are being incredibly tolerant given the circumstances. There are always many perspectives to issues like this and theirs is no less valid. I do hope to find a way to represent their views properly – I am thinking how to do this in a positive and productive way – but I do nevertheless stand by the work I’ve been doing so far on this subject. Today I passed the half-way point in a seven-week teaching project I’m involved in, in which I’m helping a group of 10-year-olds put together a newspaper. It’s an interesting experience which has given me a whole new level of respect for teachers – mostly for their patience. I’m enjoying it on many levels but it’s made me appreciate my own job and relieved I didn’t go into teaching as I initially planned to, because I really don’t think I have the personality for it. I spent a year teaching English to French sixth-formers during my degree, which was challenging in different ways. 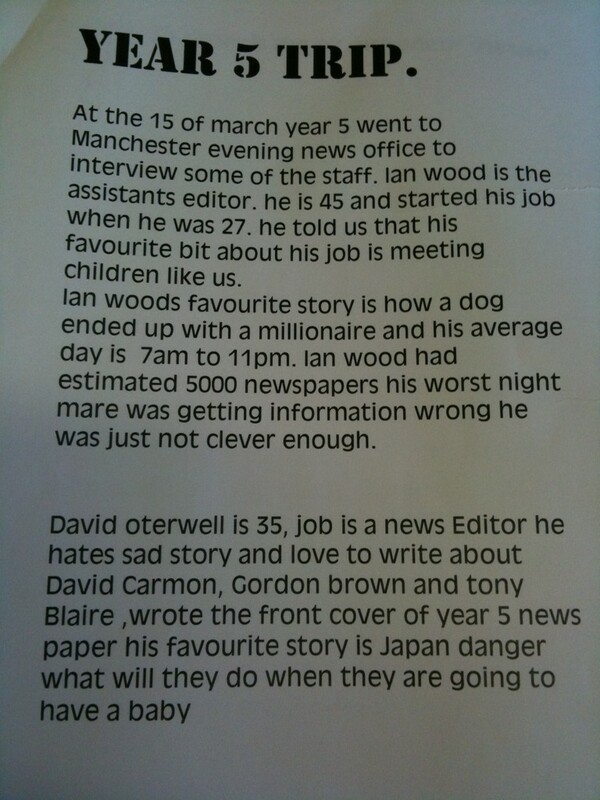 Anyway, I’ll probably write about the exprience properly once it’s over but for now I’ll just share a child’s view of a tour we took last week of the Manchester Evening News office, which tickled me when I saw it today. I’m not a Gypsy or Traveller but I am a journalist who works regularly with English Gypsies in the north of England and count a number as friends. From an audience point of view, BFGWs was great TV – titillating, manipulative, car-crash fodder of the lowest common denominator kind. Most definitely a mockumentary trussed up as factual viewing. And I’d have to agree with Jake Bowers about the damage it has done. It’s had a huge impact which I can personally attest to, as can any professionals who work with GRT communities (eg traveller education teams, support workers). I’m doing a documentary photography project with a family who run a (privately owned) Gypsy site in northern England at the moment and the level of paranoia and mistrust as a direct result of that programme is enormous. These communities have never been very open and it’s always taken time to win people round, but barely anyone else on the site will so much as give me the time of day, such is the fear of outsiders. They all just want to be invisible. The residents of this site have suffered threats from local yobs, they are being refused entry to pubs and clubs in the town, and their kids are getting teased in school (more than before) about what was shown in the programme. Obviously, they’ve never had it exactly easy, but the perception is that things have got much tougher. The mum of the family I’m spending time with says BFGWs has set Gypsies and Travellers back 30 years in terms of engaging with outsiders. Officials, artists etc will find it difficult to get onto any camps now, she says, and in some quarters Travellers themselves have turned on each other. 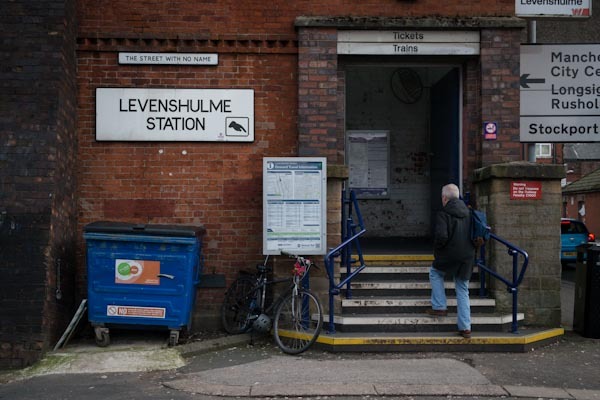 I’ve even heard from a friend who works with Irish Travellers in a town in Lancashire that the young lads are now starting to ‘grab’ girls as a form of sexual harrassment after seeing it for the first time on that programme. It hadn’t really been known of before around there. My feeling is that Firecracker Films have done a hatchet job on a vulnerable and misunderstood community and I think they’ve done untold lasting damage in the chase for ratings. Tabloid TV of the very worst kind. 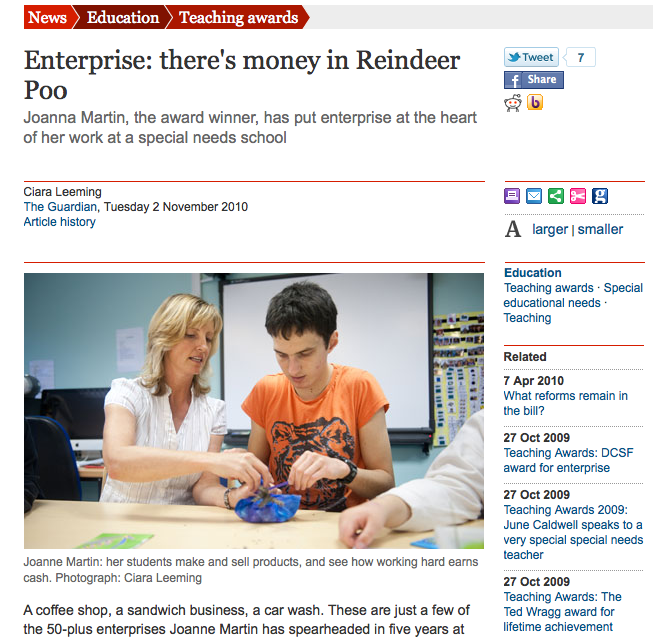 My story on enterprising Blackpool teacher Joanne Martin runs in Education Guardian today, along with a second image. For the second part of my project on the UK’s Roma, I met with members of the Romanian community from Manchester and Slovakian community from Leeds. I’m convinced that these people are profoundly misunderstood and unfairly tarnished by the actions of a minority. 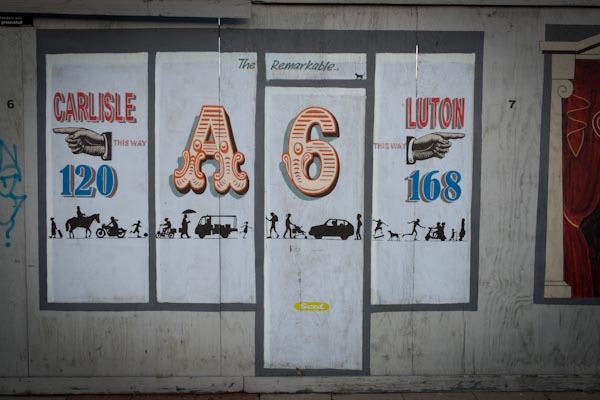 This is the start of a long-term project for me, which follows on from my interest in the British Gypsy and Traveller community. Download this week’s feature HERE or the entire investigation HERE. If you live in the North, please buy a copy of the magazine. If it’s a Roma vendor, all the better. I’m not entirely sure why but this has been the slowest moving and probably the most delicate project I’ve ever worked on as a journalist. 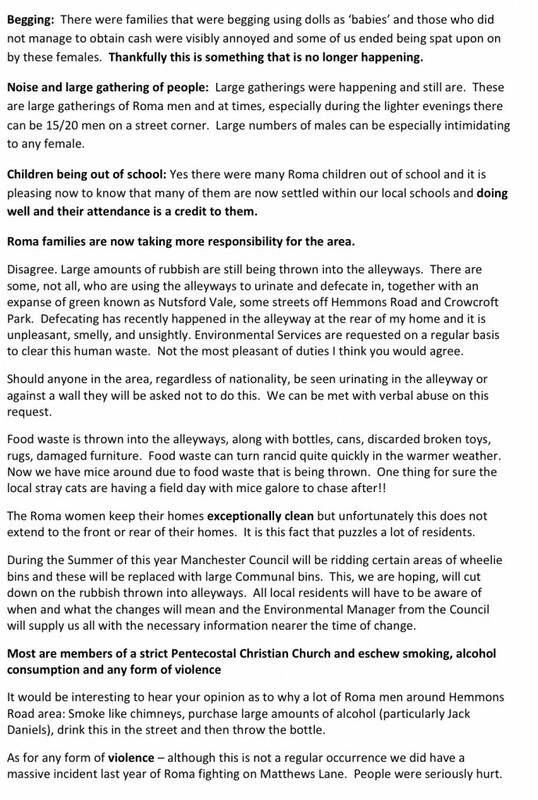 I’ve been thinking about doing some work on the Romanian Roma who live near my home in Manchester since last summer and but only started trying to make contact with them in December. Since then it’s been a series of false starts, red herrings and frustrations for all kinds of reasons, not least enormous language and cultural barriers and issues of trust. There are problems with community cohesion in the area so there are sensitivities on all sides. I feel like I’m walking a tightrope and am braced for complaints. Read the full feature here. 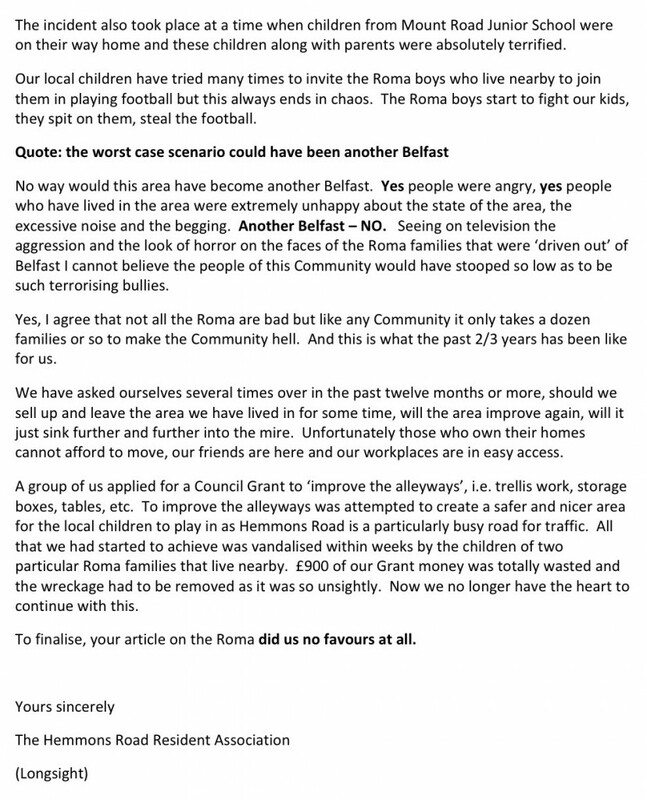 Part two – the Roma perspective – will run next week.